So, for today, I decided to go with a union song. There are many to choose from, but this is one of my favorites. “Union Town” came out in 2011 around the same time as Scott Walker in Wisconsin was doing his best to turn the state into his own little fiefdom. He’s mostly succeeded, and sadly survived a recall election, but a lot of brave folks have tried (and are still trying) to stop him. Tom Morello, as the Nightwatchman, wrote this song to honor them as well as the labor movement itself. I heard today on NPR that people are liking labor unions a lot more this year than they have in the recent past. It’s about time. 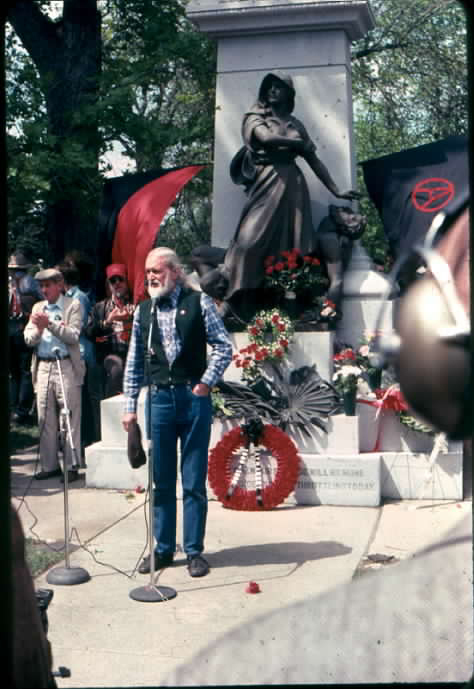 Utah Phillips at the centennial ceremony for the Haymarket Massacre, standing in front of the Haymarket monument in what is now Forest Home Cemetery in Forest Park, IL. Cool folk like Emma Goldman and Lucy Parsons are buried there. Thanks for history lesson – I’m British and had no idea what was behind this holiday for you guys! You’re welcome! 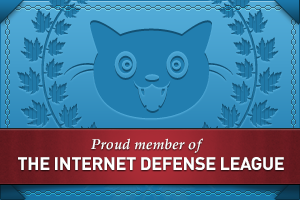 I love to share history. What’s Labor Day about in the UK (I’m assuming you guys do it May 1? )?